Robbie joined No Barriers in 2016 after 20 years of working on behalf of adults and children living with life threatening and chronic medical conditions. 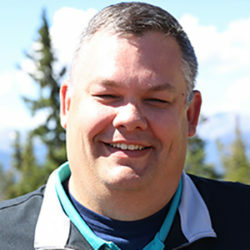 His work in fundraising and not-for-profit management has included local, regional and national leadership roles at organizations like the National Multiple Sclerosis Society, Make-A-Wish Foundation and most recently, the Leukemia & Lymphoma Society, where he was Midwest Region Director responsible for 13 states. Often lack of funding can be a barrier to sharing the No Barriers message. Robbie leads all fundraising efforts for No Barriers including work with individual donors, corporate partners and the organization’s series of special events, all of which fund core programming. Robbie is a graduate of Wofford College with a degree in English and History and has a master’s degree in college administration from the University of South Carolina. He lives in Columbus, Ohio with his wife Dr. Cindy Baker and their daughter, Emma.